On July 27, I had the honor and pleasure of being interviewed by fellow puertorriqueña, Julia Abrantes, the Literary Relations Coordinator with Las Comadres & Friends National Latino Book Club for the Conversations with Comadres teleconference with an Additional Conversation with María Dueñas, author of the novel, The Heart Has Its Reasons. What a wonderful experience it was chatting with and getting to know Julia and María! My heartfelt thanks to Las Comadres Para Las Americas, Las Comadres & Friends National Latino Book Club, and the Association of American Publishers for selecting A Decent Woman as July 2015 Book of the Month, where I join a long line of talented Latin@ authors. If you missed our podcast teleconference, the link is below. Scroll down to the listing of July 2015 and listen to our interviews. I hope you enjoy learning more about A Decent Woman and The Heart Has Its Reasons. Thank you. Enjoy your summer! 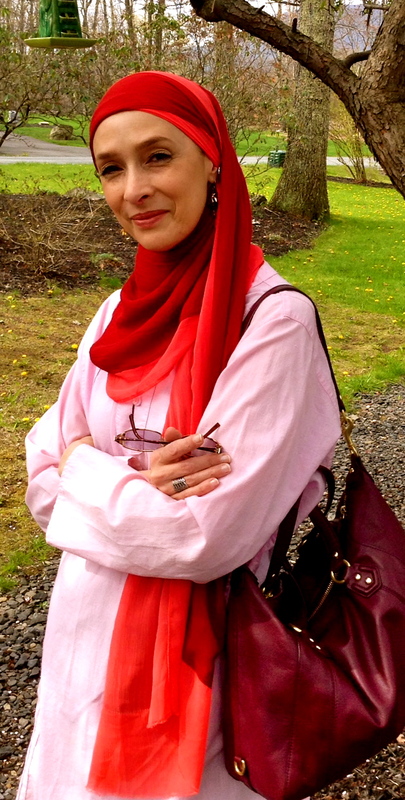 I am very pleased to welcome author, Sahar Abdulaziz, to The Writing Life. Abdulaziz strikes again. Her characters are the gal and guy next-door, masked in smiles, yet cloaked in secrecy. She challenges topics of family and marital discord, and the need for emotional survival. She skillfully lures the reader into her stories without being extensively graphic or sensationalistic with hard-hitting, uncomfortable subject matter. Fascinating glimpses into her characters’ internal talk that not only engage the reader, but challenges them to question the status quo, identify the issues as they truly present, all while exposing human frailties, and stripping away the forced facades and ambiguity. Abdulaziz traces the triumphs and tragedies of families torn apart by decades of betrayal, familial domestic violence, and sexual abuse. She also explores the human desire and need for renewal, closure and finally healing. Sahar Abdulaziz graduated with a bachelor’s degree in psychology before going on to earn her master’s degree in health and wellness promotion and administration. She holds a Certification as a Domestic Violence Counselor/Advocate as well as in community health. She uses her writing platform and voice to advocate for the underrepresented, the disenfranchised and/or maligned. Her multidimensional characters have been described as having “substance and soul”. Author of The Broken Half, as well as the recently published novel, As One Door Closes, Abdulaziz again demonstrates that those who have suffered abuse are not victims, but survivors. The Broken Half falls under the genre/category of contemporary fiction. Please describe what the story/book is about. 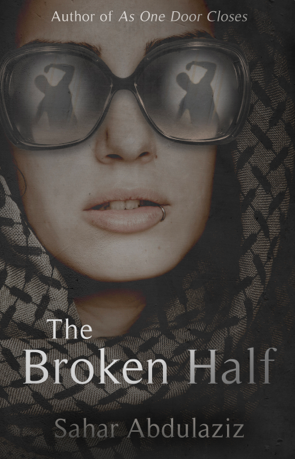 The Broken Half is the story of a young American Muslim woman, Zahra, whose marriage from the very start has been anything but peaceful. When faced with the difficult and dangerous choice to either stay in her abusive marriage or leave, Zahra soon realizes that each step she takes towards freedom is riddled with risky and uncertain repercussions, making her feel trapped and vulnerable. Danger within the marriage continues to escalate, and the clock is ticking. Zahra knows she is running out of both options and time. This story traces the triumphs and tragedies of how families can be torn apart by domestic violence, and sexual abuse, as well as the human desire and need for renewal, closure and finally healing. Often we will hear someone introduce their partner as their, “better half”, but in this story, my character’s marriage is severely damaged, hence the term – the broken half. The question is, can the relationship between Zahra and her husband be fixed? And if so, at what cost, or is there nothing left worth fixing making escape the only answer? I felt that for many women facing domestic violence and abuse within the confines of their homes and marriages, the title, ‘The Broken Half’ would resonate. The title, The Broken Half was also used to illustrate how domestic violence and sexual assault are not limited to one isolated punch or slap, but often manifested in a series of convoluted life conditions that are permitted to exist through apathy. The title is also a stark reminder of how critical a functional family core is to the individual as well as to the community at large, and how quickly both can unravel if these conditions are not adequately addressed. What is the reason you wrote this book? I wanted to use my writing platform to advocate for the underrepresented, the disenfranchised and/or maligned, especially to help others clearly understand exactly how someone—anyone, given the right circumstances and vulnerability—can be held captive emotionally, physically, spiritually, and even financially by an abuser. I wanted this story to dispel many myths and stereotypes concerning domestic violence and sexual assault. At the same time, I wanted to illustrate precisely how, “Just leaving” isn’t always a readily available option or resolution. Again, although the story is fictional, The Broken Half sets out to realistically and candidly challenge topics of family and marital discord, the false perceptions of domestic violence and sexual abuse within a marriage, and bring to light the need for emotional survival. I run the gamut of emotions when preparing to write. I think for me, the most agonizing aspect of writing is that period of time right after I finish writing a book, and just before starting on the next unknown project. It’s the ‘unknown’ that drives me, and the people who live with me insane. However, once I figure out what my next story will be about, I become energized, animated, and ready to jump in full force. The realization that I know exactly what I want to write about has got to be my most favorite part of writing -beyond thrilling. Mapping out how the story will start and finish in my head [and in my $1.99 lined notebook] becomes electrifying. New characters are born, their nuances are threaded into their personalities, and the real work begins. What is the most challenging aspect of writing? I have found that there is a fine line between being explicitly sensationalistic for the sake of shocking your audience and realistically describing an event that by its very nature is appalling and uncomfortable. When writing my books, because of the complicated and often uncomfortable topics, I try to lure the reader into the story without becoming extensively graphic while still providing hard-hitting, and sometimes difficult subject matter. I enjoy many different genres of reading, much like I enjoy various types of food. Singling out any one specific or a few specific names feels impossible, so I guess by genre I would have to say I really enjoy the work of Mitch Albom, whose inspirational and faithful stories have always held special meaning and solace for me. Janet Evanovich’s contemporary mysteries, which feature her highly entertaining character Stephanie Plum, the failed lingerie clerk turned Trenton, NJ bounty hunter is ridiculously comical. I cried tears filled with unbridled hilarity while reading her series. Evanovich nailed it. In terms of classics, I am a super big murder mystery fan, or what I like to refer to as, ‘polite murders’ so all of Agatha Christie’s Miss Marple, and Hercule Poirot’s detective books are mega-big favorites of mine. And, of course, without a doubt, all of Arthur Conan Doyle’s, Sherlock Holmes mystery novels are all-time favorites as well. J.K. Rowling, Harlan Coben, Christina Baker Kline, Anthony Doerr, Erik Larson, Liane Moriarty, David McCullough, and Gillian Flynn are only a few of the artist/authors I deeply respect and admire for their skills. I do most of my most dazzling work while at airports while waiting for my flights to board. For some strange reason, I have the uncanny aptitude to zone out the world around me and focus on my writing voice the best as I sit in loud, bustling, and terribly intrusive atmospheres. I believe my mind-numbing training came from mothering my six children. I found that while raising my brood, if I had any intention of getting any cohesive brainwork done, I had to learn how to block out the lunacy and foolishness that I lovingly call my family. Now my compromised brain simply doesn’t know how to handle too much normalcy and quiet. Could you share something personal about you people may be surprised to know? I have Crohn’s Disease. It’s a debilitating, painful and incredibly intrusive chronic illness associated with inflammation of the digestive tract. Because of the severity of my disease, I am often unable to physically leave the house, often too weak or in pain. Thank goodness as an author/writer, I can work from home. Unable to sit at my desk for extended periods of time, I wrote most of my first book, But You LOOK Just Fine in bed. There I was propped up with pillows, sipping hot tea, herb bag on a distended belly, surrounded by research, and tapping away on my laptop. Fun times. Any surprises or learning experiences with the publishing process? The Broken Half is my fourth book and in all honestly, I am still at a loss when it comes to the publishing process. There is so much to learn and explore. I found that with each new book, there have been also new approaches that had to be implemented. Within each new project, goals naturally had to be transformed and tailored to meet those required changes and expectations. Unfortunately, with change also comes the ever-widening potential for unsuspecting errors to occur, so I have found that staying focused, determined, and committed become highly advantageous. Large pots of tea, and ample supplies of chocolate, as well as an account with Netflix, are also compulsory. Looking back, what did you do right that helped you with this book? The biggest thing I think I did right with The Broken Half was in making sure that I honored all of my characters, including the antagonist by allowing their individual back-story to bring depth and empathy to their plight as well as to their actions and choices. I did this because I firmly believe that it is important to remember- no one does anything in this life without prior experiences or because they lived safely tucked away inside a bubble. Therefore, it became necessary to make sure each one of my characters exhibited both nuance and history. This in turn helped to highlight where their individual motivation, rationale, and choices came from. I also tried to include many facts about domestic violence and sexual assault without necessarily preaching or info-dumping- (I hope!) My intent was to stay as realistic to the content and platform of the story as fiction would allow. Any advice for writers looking to get published? I am going to sound like a redundant, broken record here, but my advice is to read. Read everything. –AND DON’T limit yourself to one particular genre just because you prefer to write in that style. Kick your assumptions and opinions to the curb. Open up your mind to the richness of other authors’ works. I read everything from magazines, cookbooks, novels, blogs, the backs of cereal boxes, and telephone books. You name it -I read it. Become a serious people watcher- not stalker- but a watcher. Observe, absorb, learn, listen, and most of all, respect. Respect the human condition that others must live and survive in so when you write your stories, no matter what you are writing about, you do so from a place of authenticity and genuineness, tempered by empathy, but never-ever dictated by apathy. Writing is a powerful tool, so use it wisely and judiciously. All my books, including, But You LOOK Just Fine, As One Door Closes, The Broken Half, and my children’s novel, The Dino Flu, can be purchased on Amazon, iBooks, nook, kindle & Kindle app, B&N online. What’s next for you, Sahar? More writing. Booktrope Publishers is publishing a second edition of my book, As One Door Closes, this summer with a wickedly prolific new cover, and some additional tweaks inside. I’m also working hard on a new novel now. Another fiction. I am hoping to create a story that brings readers on yet another incredible journey. If possible, I would also like to write another book in the Just Fine series as well. It has been a pleasure chatting with you at The Writing Life, Sahar. I wish you much success with your writing. Puerto Rican-born novelist, Eleanor Parker Sapia, was raised in the United States, Puerto Rico, and Europe. Eleanor’s careers as an artist, counselor, alternative health practitioner, Spanish language social worker and a refugee case worker inspire her stories. She is a member of PEN America and the Historical Novel Society. When Eleanor is not writing, she facilitates creativity groups, reads, and tells herself she is making plans to walk El Camino de Santiago de Compostela a second time. From the beginning of time, humans have eaten, experimented, and used plant leaves, fruit, flowers, and seeds for medicinal purposes. The indigenous people of Borikén, the Tainos of Puerto Rico, used certain plants for food and healing. With modern medical advances throughout history, natural medicine saw a decline and has grown in popularity in recent times. My grandmother, an intuitive healer, learned to cure with herbal remedies passed down from her mother and the women in the community, which she passed down to me. I spent several of my childhood years living in Puerto Rico with my family, including summer holiday breaks at my maternal grandparents’ home when we lived off-island, from elementary school to my mid-twenties. As it is with most kids, there were times my sister and I got sick over the summer with colds, tummy ailments, headaches, and general malaise, and during these times, it was my grandmother who cured us, not the family doctor. 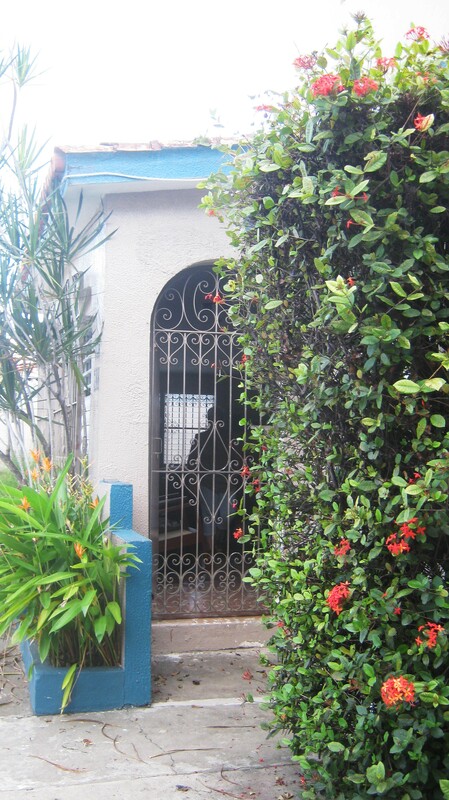 My grandmother’s back yard garden was a tropical paradise with an enormous mango tree for shade, annatto trees, and hibiscus, Isabel Segunda, anise seed trees, and thorny trinitaria plants that grew in large cement planters. Large terra cotta pots and urns spilled over with medicinal plants, such as verbena, yerba buena, Caribbean spearmint and yerba bruja, Kalanchoe. Her ferns, rhododendron, and crotons were planted in smallish spaces in the garden and then grew to almost prehistoric size, turning the backyard into my secret garden, perfect for hiding when playing hide and seek. As a kid, I only saw a beautiful flower garden, but to my grandmother, the garden was her pharmacy, and what she didn’t have growing in her garden, she bought from the botánica, the botanical shop at the Plaza de Mercado, the market in the center of Ponce, to make her concoctions. Some were her remedies; some were recipes prescribed by the family espiritista, spiritist and medium (who happened to be my grandmother’s good friend and spiritual counselor named Doña Pina) for despojos, spiritual purification and/or santiguos, massage or rubs with medicine accompanied with prayers. 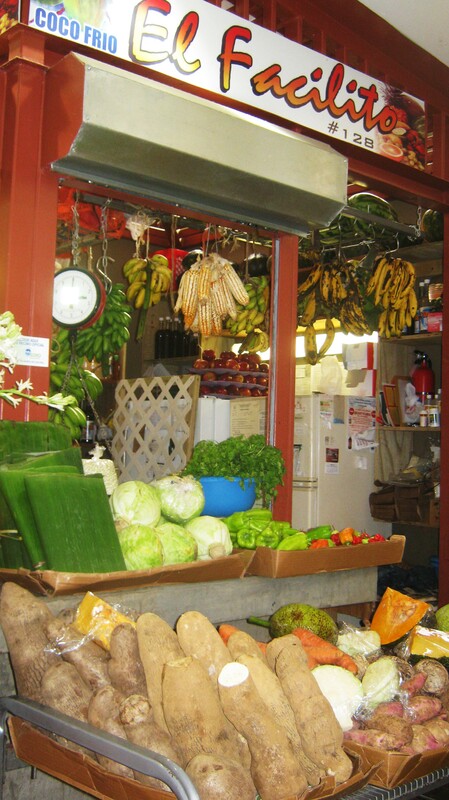 Some remedies simply involved eating mangos, papayas, guavas, and sour sop fruit, which were always plentiful and fresh. If we had respiratory ailments, my Catholic grandmother boiled the leaves of Caribbean spearmint; or anise seeds; or black nightshade, or yerba mora for teas. For tummy aches and indigestion, she boiled pieces of ginger and we’d sip the tea. When we complained of headaches, we chewed on annatto leaves with a little oil. To rid us of the ‘evil eye’, we were to bathe with flower petals and leaves for a few nights. And for general well-being, my grandfather was big on taking a daily dose of cod liver oil pills, which tasted like hell. The only herbal remedy I remember my grandfather offering when we had high fevers was…to collect our own urine and pour it over our heads, as his mother did to him, which would explain why we kids never complained of anything to my grandfather! I never knew if that story was true or not, but the visual of such an experience was enough to pretty much cure us on the spot. My grandfather explained that our own bodily fluids were the perfect medicine. My grandmother believed in hot and cold medicine: “The unique health and healing philosophy shared by the Hispanic population is attributed to a fusion of cultures. Ancient native indigenes from Central and South America believed that natural forces in the sea, earth, and moon played an important role in an individual’s health. A healthy life could be achieved only by demonstrating respect for the power of these natural forces. With the arrival of the Spanish conquistadors in the 16th century, the Catholic religion and Hippocrates’ humoral theory of health were introduced into the New World. According to this theory, health was dependent on the proper distribution of the body’s 4 humors: blood, phlegm, yellow bile, and black bile, which are classified based on their physical properties as hot, cold, moist (wet), or dry. Illness was attributed to an imbalance of these humors, and treatment was targeted to restore balance. My grandmother knew nothing of New age complementary and alternative medicine, so when I returned from London where I’d studied and certified as a Reiki Master, an energy healing modality, and I excitedly shared what I’d learned about energy, channeling energy and healing–she understood completely. “Mija, we’ve been doing that for hundreds of years,” she said with a grin. And I realized she was right. Multi-literary award-winning, Puerto Rican-born novelist, Eleanor Parker Sapia, was raised in the United States, Puerto Rico, and Europe. Eleanor’s careers as an artist, counselor, alternative health practitioner, Spanish language social worker, and a refugee caseworker inspire her stories. She is a member of PEN America and the Historical Novel Society. When Eleanor is not writing, she facilitates creativity groups, reads, and tells herself she is making plans to walk El Camino de Santiago de Compostela a second time. A Decent Woman, Eleanor’s debut novel, set in turn of the nineteenth century Puerto Rico, garnered two International Latino Book Awards. She is featured in Mayra Calvani’s anthology, Latina Authors and Their Muses. The book was selected as 2015 July Book of the Month for Las Comadres & Friends Latino Book Club. 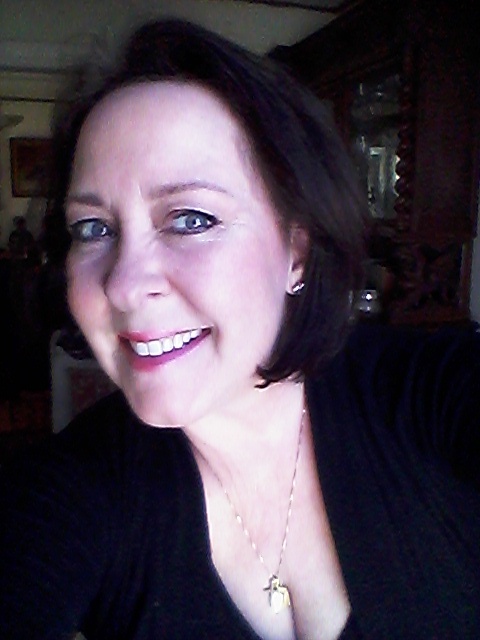 Eleanor is the mother of two adult children and currently lives in West Virginia, where she is writing her second novel, The Laments. I had the wonderful opportunity to chat with writer, KJ Dixon this week and what a great chat it was! We talked about what it means to be a decent woman today, and I gave KJ my picks for who would play Serafina and Ana in the film version of A Decent Woman, when the screenplay is written, of course! When I learned that a book entitled A Decent Woman was released earlier this year, I couldn’t wait to pick it up. After all, it is the year 2015. To let the streets tell it, decent women have all disappeared like the dinosaurs. Turns out that a few still exist though. In fact, Eleanor Parker Sapia, the author of this spectacular novel, is more than a decent woman. She’s a brilliant writer, a gifted storyteller, a sharp historian, and on top of all that, is extraordinarily kind. I was so impressed by Eleanor and her story that I asked permission to pick her brain on the whole notion of decent women, both inside and outside the parameters of her book, and share it with you. And being the decent woman that she is (smile), she lovingly and graciously obliged. Check out this excerpt from Eleanor’s book, my questions, and her thought-provoking answers. Ana recognized the many bridges she’d burned in life by focusing on work, her clients, and their families, instead of marriage, children, and preparing for old age. She’d waited too long to accept friendship and now, Serafina was far away. Ana was alone, and soon she would be homeless. The poorer barrios of Bélgica and San Antón might prove difficult places to find paying clients, but perhaps it was time to go. She set her sights on San Antón, knowing there was nothing left for her in La Playa. Two weeks later, Ana discovered the priest’s information was correct—a repeat of the 1890 campaign of mass cleansing of prostitution resurfaced in Ponce. Most of the workingwomen in Ponce were of African descent and thought to be loose and wayward by the upper classes. She’d read the articles about young, upper class women in the new feminist movement beginning to feel a kinship with their black and mulatto sisters. The feminists insisted that with time and care, the workingwomen could be transformed into proper ladies and responsible citizens with a few rights. To Ana, it was a ploy by women of society to rid Ponce of female competition for available and married men, specifically their husbands. Ana believed that behind closed doors, the young, married feminists worried about keeping their own husbands away from other women. Ana understood that feeding hungry children, and lack of good-paying jobs and decent housing, forced many women to resort to prostitution; however, it seemed all black workingwomen were lumped together in the indecency whether they were guilty or not, including Ana. KJD: Eleanor, thank you for allowing me to meet with you. I loved the book and I’m really feeling the themes that are so cleverly woven throughout it. So what does the term “decent woman” mean to you? What types of things will decent women do? Or perhaps a better question is, is there anything that decent women will not do? EPS: Thanks so much for your kind words and for inviting me to visit with your readers, Kristen. I am honored to be here. My debut historical novel was originally called The House on Luna Street, the street where my mother and her siblings were raised in my hometown of Ponce, Puerto Rico. The title, A Decent Woman, didn’t occur to me until after I finished the first manuscript of the book. As I began to edit and finesse the story, it became clear my protagonist, Ana Belén, a poor, illiterate black Cuban woman born into slavery, who becomes a midwife in her twenties, was a decent woman. She tried her best to live a ‘decent’ life in a turbulent time in Puerto Rico’s history, when many women found themselves getting caught up in ‘indecent’ lifestyles, thoughts, and situations to feed and protect their families if they were married, and for basic and utter survival if they were single women with no male protection. It was also a time when male doctors were entering the birthing room for the first time, threatening Ana’s livelihood. Her name had to remain impeccable because her good name was all she had. To me, a decent woman has high integrity and self-esteem, courage, grit, compassion, and empathy for others no matter what her station in life. She listens to her inner voice and heart when her opinions and views might not be the popular choice among her friends, family, and society, but the right thing to do. A decent woman is an advocate for children, women of all walks of life, and she stands up for injustices against others. She is a mentor to women, young and old, and she shares and celebrates the accomplishments of the sisterhood. She is humble, but always knows and remembers who she is and where she came from. In my view, what a decent woman doesn’t do is judge other women. It’s not necessary to discredit, bad mouth, or step on other women to get ahead in life, at work and personally. A secure woman doesn’t lose a thing by uplifting other women. In fact, it’s been my experience that uplifting all women leads to new experiences and rich blessings. I’m blessed to know many decent women who in my mind embody the term, decent woman. These women are family, friends, role models, and were early mentors. One of my closest friends and confidantes is younger than me by ten years. She is wise beyond her years and I respect her counsel and opinions. KJD: I totally agree with that definition. And I love that you promote and celebrate extraordinary women! Before penning this novel, had you considered yourself to be a decent woman? Did writing it help you to see yourself or other women differently? EPS: I was born and raised in Puerto Rico, the United States, and in Europe, which led to a rich life, full of travel, and wonderful opportunities to meet interesting people from all walks of life, and travel also meant I saw poverty around me. As a child, I always sided with the underdog, whether it was a classmate, a friend who was bullied, or a character in a book or film. In my teens, I was as interested in attending the formal dances at the country club where my grandparents were members as making new friends in the poorer neighborhoods during our visits to visit family. Even as a young child, the disparity between the classes made an impression on me. My mother told me I was an opinionated child who didn’t like to hear, “that’s impossible”—whatever it was we were discussing. Helping others has always been a possibility to me. As an adult, I was a painter; counselor; an alternative health practitioner; a pilgrimage coordinator in Lourdes, France; and a Spanish language family support worker and a refugee case manager in the United States and Belgium, all of which inspire my writing to this day. Today I’m a full time novelist. I enjoy introducing readers to women who do extraordinary things while living ordinary lives. I am drawn to writing about people who live on the fringes of society, which I suppose makes sense after a career in social services and because of my travels. So to answer your question, I believe I was a decent woman before I penned A Decent Woman, and I raised my children to be decent, compassionate, empathic, and aware of the world at large. One discovery I made while writing my book was that my life, with its’ challenges, joys, and what I struggled with wasn’t that different from women of the past. Life was certainly harder for women at turn of the century without modern conveniences, opportunities, rights, but many women around the world today are living exactly like our foremothers—and worse—with few or no rights, limited modern conveniences, and unreachable opportunities for themselves and their children. That wasn’t a discovery—it was a painful reminder. KJD: Yes indeed. And you know, some of the poor race relations in America would have many of us to think that there are major differences that exist between the struggles of women of different ethnicities. Once of the things that I love about your book is that it clearly demonstrates that we all oftentimes struggle with the same universal issues. How did you make this discovery before writing it? 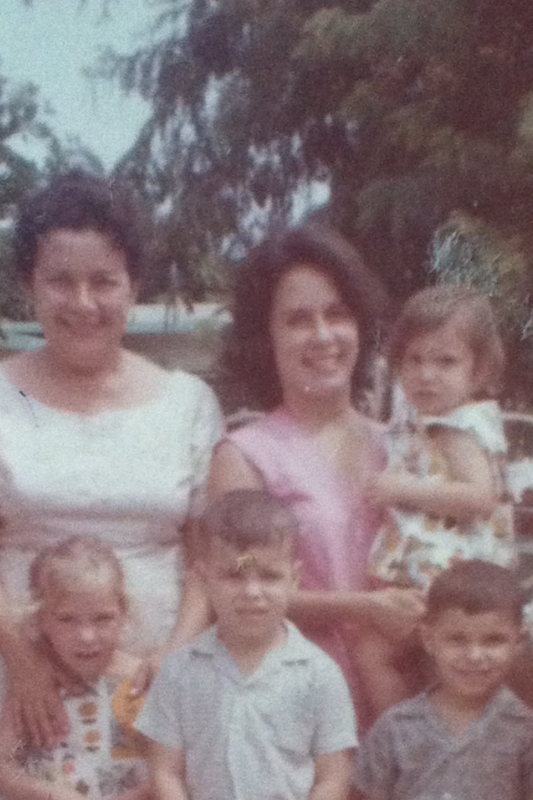 EPS: My maternal grandmother, Eloina was born into poverty in the coastal town of La Playa de Ponce, Puerto Rico, the setting of A Decent Woman, and lost her mother at nine years of age. It became impossible for her father, a merchant marine, to care for her and her five siblings, and they were sent to an orphanage for a few years. Later, they were sent to live with an aunt who my grandmother described as a hard, unfeeling woman. My grandmother says she survived thanks to her wicked sense of humor, her beauty (which is true, smile), a close-knit relationship with her brothers and sister, and thanks to a high sense of self. She married my grandfather, who at the time was a clerk at the Banco de Ponce, and she left the life of poverty behind, but she never forgot her humble roots. Despite my grandfather rising in the ranks at the bank and retiring as Vice President, they lived a simple life, and went on to buy two coffee farms on the island, where they employed many laborers for decades. A few years ago, I visited the area where my grandfather’s farm thrived and was later sold in the mountains of Yayuya, by a forced government sale. During my visit, I was thrilled to find that many of the tenant farmers and their families still live in the area, and had nice things to say about my grandparents. The land area, several hundred acres, is called Zona Sapia, Zone Sapia after my grandparents. So I understood and experienced universal struggles from a young age thanks to my maternal and paternal grandparents’ stories of lean years and struggles, who were all amazing storytellers, and by my experiences of lean years and struggle as a divorced, single mother after a twenty-five year marriage of privilege and certain luxury. After our twenty-fifth wedding anniversary, my husband replaced me with another woman and my life literally changed in twenty-four hours. That’s another story. I will add that without those lean years of struggle and heartache as a single, working mother of two young adults in college, I could have never fully understood and written Ana’s journey. Those years were blessings and a gift to me as a woman, mother, and as a writer. With both sides of the coin, so to speak, I was able to write Serafina and Ana’s stories. KJD: I get it, and their story makes me smile. I don’t want to spoil the ending, but in your mind, can you tell us how your main characters, Ana and Serafina, change or evolve throughout the course of the story? And what events trigger these changes? EPS: Without giving away the story or offering any spoilers, when the story begins, forty-year old Ana delivers sixteen-year old Serafina’s first child. Unmarried and alone, Ana is distrustful of men and authority, a loner, but she is also a loyal friend to her midwifery clients and their children. She must work to support herself. Her journey is about keeping a dark secret from her past hidden while searching for love, respectability, and a family to call her own. Sixteen-year old Serafina pursues a friendship with Ana, which will reopen their hearts and also break them for a few years. Although Serafina is married and has the protection of two men, her life is paved with heartache and loss. The changes she goes through in the book are part of growing up and maturing into a confident wife, mother, and woman. Later in life, she will come face to face with her humble beginnings, a reminder of those who loved her most. What forever bonds these two women is an ill-conceived plan to avoid a scandal and preserve Serafina’s honor after a crime against Serafina. KJD: In a movie version of this story, who would play what parts? EPS: Oh, I love this question, Kristen! I was a painter for twenty-five years, mostly portraits in those days, before discovering my passion for writing stories. As I wrote A Decent Woman, I visualized the adult Ana played by one of my favorite actresses, the fabulous Viola Davis. Ana Belén is strong, gentle, intelligent, and has the quiet strength and gritty courage I’ve seen in many of Viola’s characters in films and in television. I adore Viola’s grin, which reminds me of Ana, who in my mind’s eye has a great grin. For the flashbacks of young Ana as a child born into slavery on a sugar plantation in Cuba, I’d pick the young actress and Oscar winner, Quvenzhané Wallis and Lupita Nyong’o would be perfect to play Ana in her twenties when she first arrives in Puerto Rico. I visualize the young actress, Selena Gomez as Serafina at sixteen, and the incredible Mexican actress and director, Salma Hayek as the adult Serafina. Now I need a screenplay, don’t I? KJD: Yes you do! I’d say that it’s time to get started on one. I’d pay for a ticket, Coke and popcorn in order to see it. But for now, I’ll just thank you for writing such a brilliant novel. EPS: Thanks very much for the wonderful opportunity to stop by and chat with you, Kristen! KJD: It has been my absolute pleasure. Miracles and blessings to you, Eleanor.